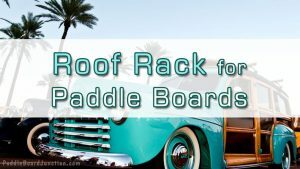 You’ve bought the perfect paddle board, and now the question arises: “How do I store this thing?” One of the most practical and common ways is a wall rack, or wall hanger. 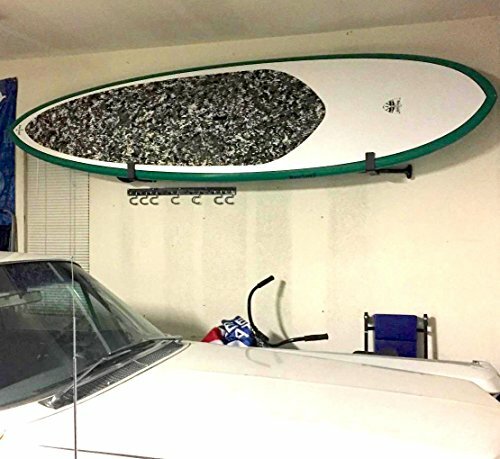 A paddle board wall hanger is perfect for non-inflatable board storage, keeping the SUP safe above the ground and out of the way in your home or garage. 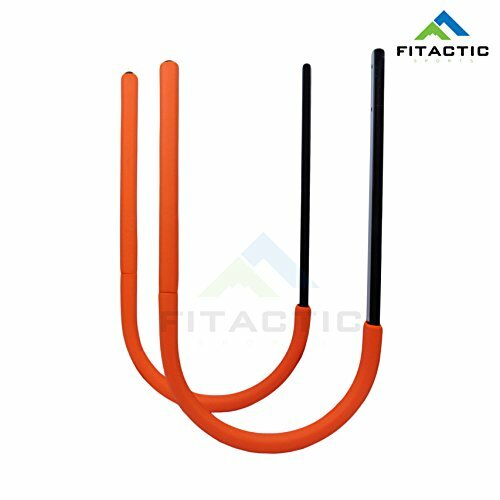 The most cost effective option on this list, the FITactic Wall Rack is made from galvanized steel, powder coated for rust-resistance, and covered with protective foam so that the board doesn’t ding or scratch when stored. 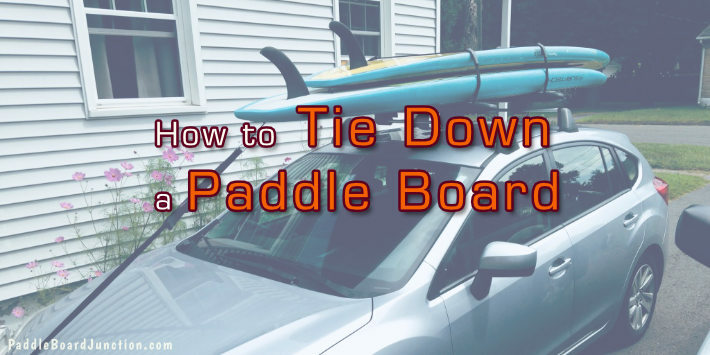 It’s designed to fit any sized paddle board, and even comes with an extension tube to fit large SUPs along with the fins and paddle. It can support up to 70 lbs. 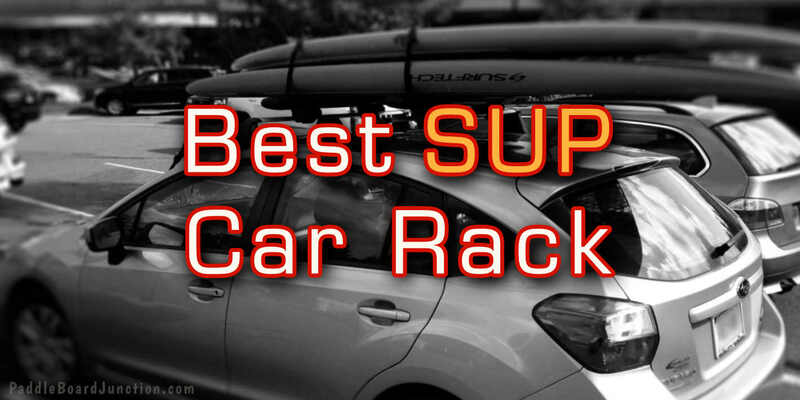 COR Board Racks are one of the most reviewed and highly rated on Amazon, boasting over 230 reviews and an average rating of 4.8 out of 5 stars. 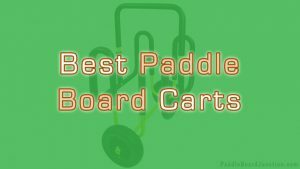 It’s made from durable, rust-resistant galvanized steel and covered with protective foam to prevent damage to the board during loading and storage. The 190 degree bend accounts for any sagging that may occur when storing larger, heavier boards. 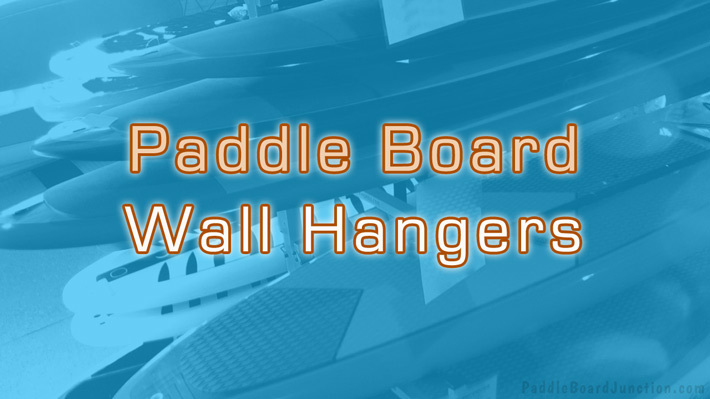 And, these paddle board wall hangers are very easy to install! NOTE: Some reviewers with heavier boards recommended a modified installation for guaranteed safety: use 3” or longer screws backed with washers. The longer screws will ensure that the hangers stay in the wall, and the washers will prevent the screws from widening the hole over time. 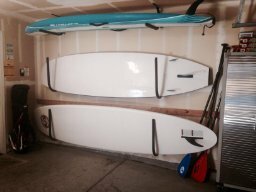 This SUP wall hanger is designed to show less rack and more board. It’s made from aluminum, which is lightweight, durable, and rust-free. It’s finished with a semi-gloss black powder for a clean, shiny look that lasts. To prevent dings during storage, the racks are lined with felt padding. 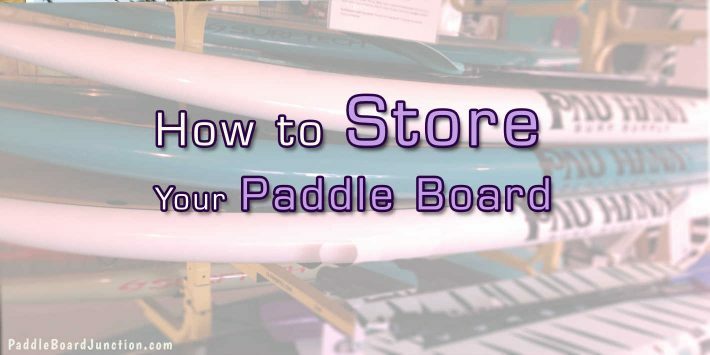 One of the greatest ways to store your stand up paddle board is a paddle board wall hanger or rack. SUP racks keep the board off the ground and out of the way. Hung up, a board is less likely to be damaged during storage, and wall hangers are a space effective solution. 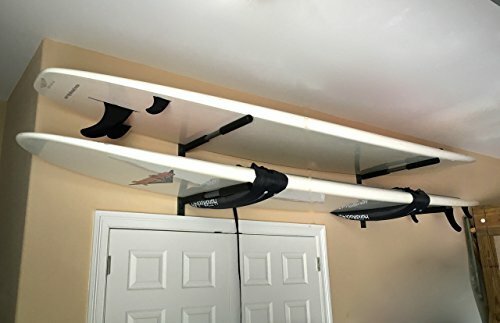 Once purchased, a lot of wall hangers are easy to install and give you a lot of freedom with spacing according to the size of your paddle board. One recurring complaint about almost any hanger, however, is the hardware included. In many cases, the screws that come with the kit are low quality. To ensure that the wall hangers stay on the wall, and your board stays safe, you may want to consider purchasing your own fitting screws. With that, best of luck and happy paddling!